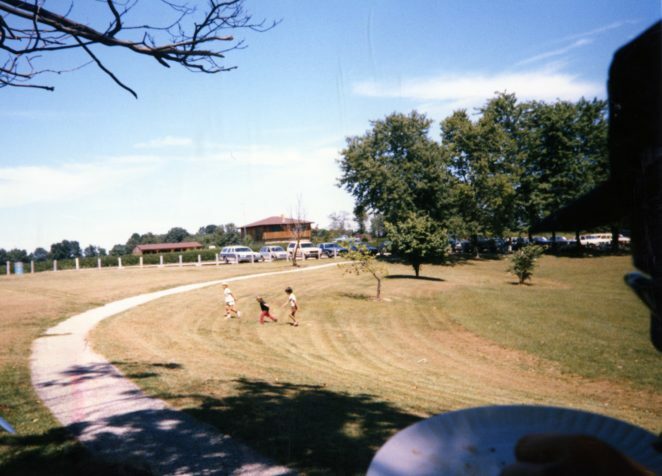 We had many school events when I was teaching at the Karst Farm Park. It was a wide-open park where the kids could play, run around and be outdoors. Personally one of the things, well one of the two things I think is wrong with schools today is that there isn’t a focus on science as a basis for the education used, and kids are indoors. While I understand teachers not liking being outdoors I will say it publicly now; I believe it is a sexist program that only supports education indoors. The focus on the 3R’s is geared early on to the communication skills. I believe you have to teach the whole child from the very first minute they are in school. It is too easy for the teacher’s comfort (stay inside) becomes the driver. Education is about experiencing the world! So I took the kids outside, a lot. I started every day with a science lesson. I did fun experiments in the classroom with the kids. (two of them were picked up by Instructor and Learning magazines). One of the experiments we did every year4 was built a Rocket, then go outdoors and launch the Rocket. I had to stop that my last year because of school system rules. But for the first few years, we did the math, launched our rocket and figured out how close we were. We also designed and delivered an acid rain experiment that was one of those things that the kids truly loved. My argument was depending on the wind, the acidity of the rain falling on our school would change. The kids didn’t initially understand why I felt that so we took a field trip to the IU power plant. IU owned and operated a coal-fired power plant that spewed smoke into the air. We measured the acidity of water right by the plant (no change) and then downwind of the plant. The further downwind the more like the acidity of the water would increase. At the end of the experiment, the kids understood the impact of acid rain and why it mattered where power plants were. The documentation of the impact was published by Learning magazine. I loved being a teacher over the years. There were many things going back I would do differently. I made some really poor personal decisions when I was a teacher (all outside the classroom) that I wish I could undo.